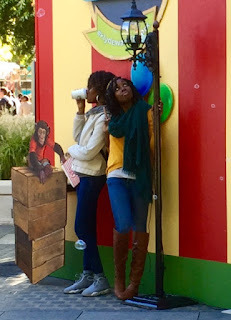 We knew we wanted this piece to be interactive and get both children and adults involved. 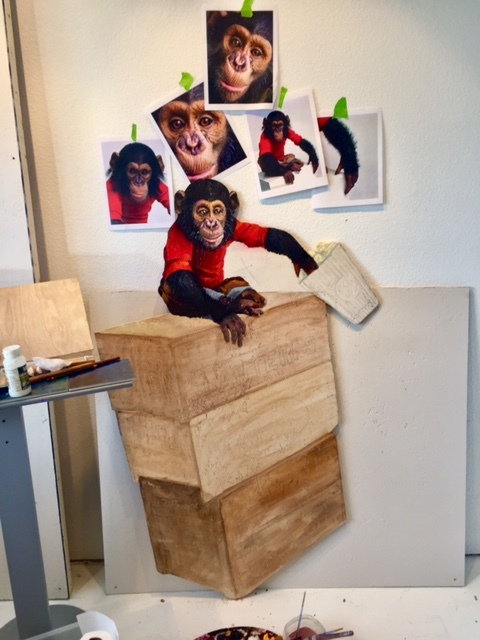 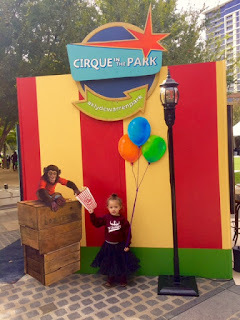 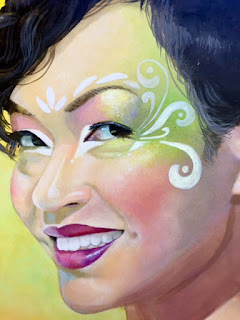 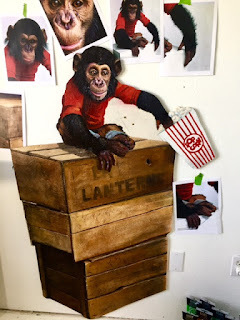 The monkey was a great way to get kids excited and the realism style of the piece was sure to interest the adults. 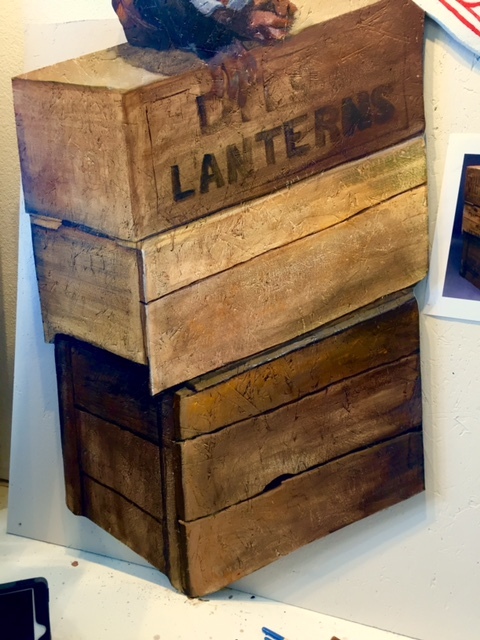 We wanted the feel to be 3D even though it was painted on a 2D piece of wood, so we started with a dynamic wood crate at an angle to give a feeling of depth. 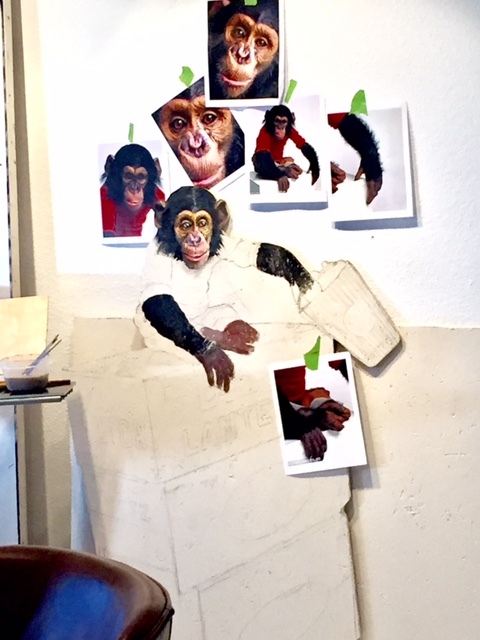 We then added a life like monkey painted sitting on the box. 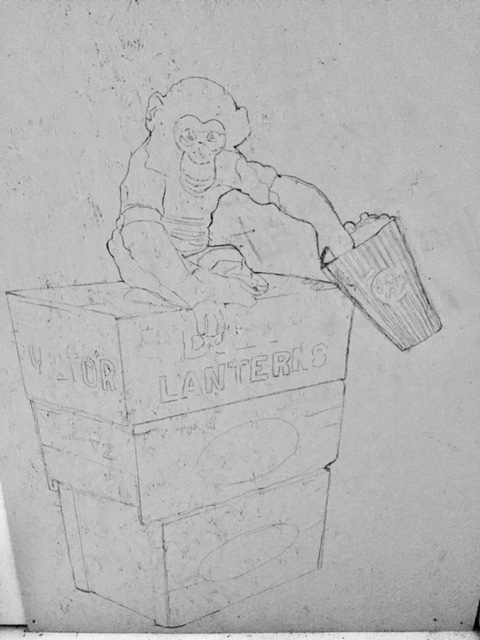 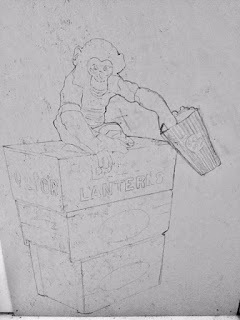 To give an interactive element we created a bag of popcorn that people could actually hold onto when taking their picture with the monkey. 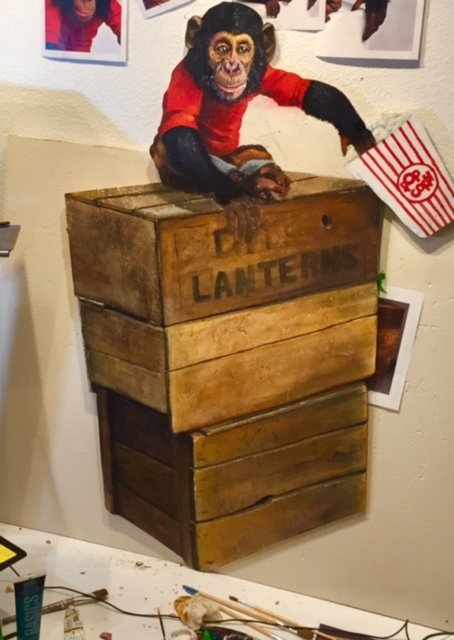 We also added painted balloons with real strings to hold and a real street light that would flicker with an old world gas light feel. 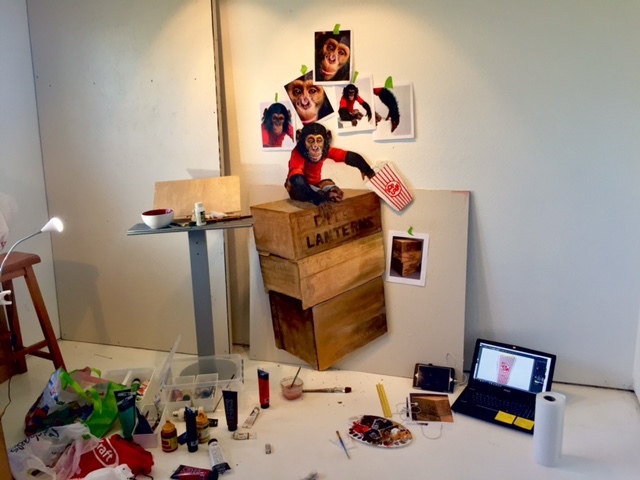 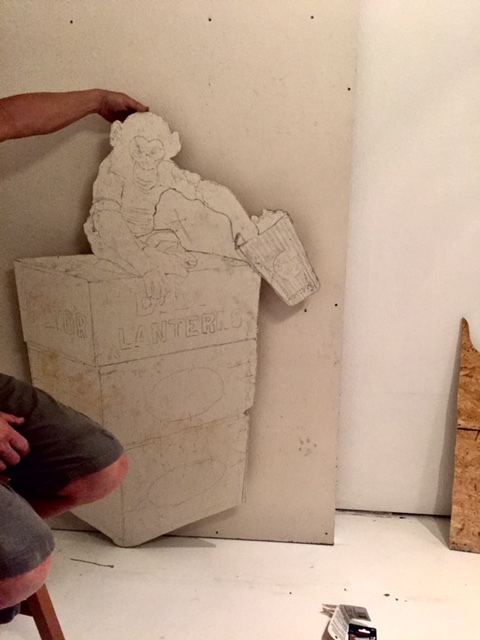 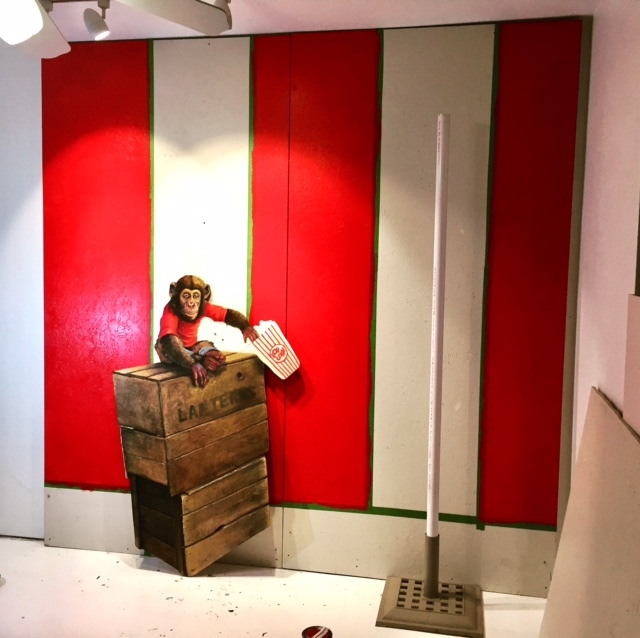 Here is a look at the design and production process of Andy the Monkey.